Work efficiently with email, calendar, contacts, tasks, and more—together in one place. Set up your Microsoft Office 365 account with your own current or new domain name. This allows you to both send and receive emails with an address which looks exactly like your business name instead of Yahoo, Hotmail or Gmail as email extension. 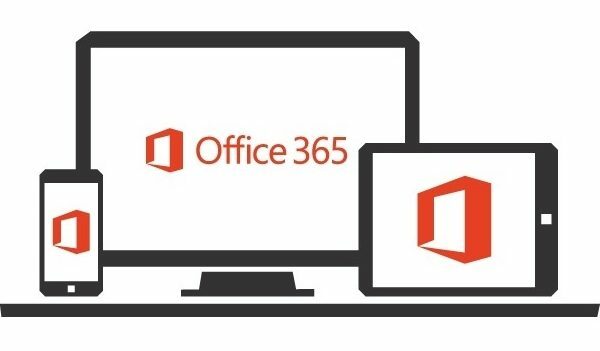 Using Office 365 with your own domain name is a great way to manage your POP3 or IMAP account if you want to sync your emails, contacts and calendar items with multiple devices such as your desktop, laptop, netbook, tablet or smartphone. Make decisions faster, face to face. Collaborate in real-time. Store and share files in the cloud. Secure your data and devices. Don’t get stocked to your desktop with a business email software. 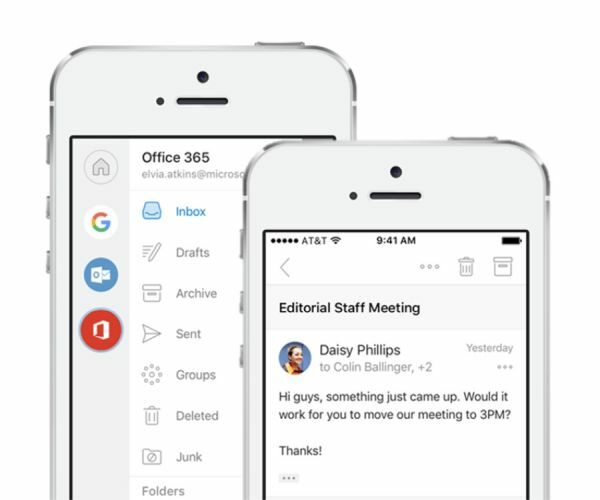 With Microsoft 365 Business Email, your emails are in the cloud allowing you to access them anytime, anywhere with your PC/Mac or any mobile device, your iOS, Android™, or Windows device in real time. Microsoft 365 Outlook has a clean interface, and you can change the default color and theme. With a stylish Windows Modern UI, a prioritized simplicity, the redesign, improves on the feel while retaining the ability for users to concentrate on emails themselves rather than face any distractions. The reading pane of Outlook is by default switched off, but it can be enabled through the quick settings menu. All these simple yet robust features make the usability simple and stress-free. Microsoft Outlook allows you to organize your email accounts how you see fit. Customize your messages by changing the font or by adding a signature, stationery or background to your messages. Manage your personal and business contacts using the contact management feature included as part of Microsoft Outlook. Add new contacts manually or import them from email messages and electronic business cards. 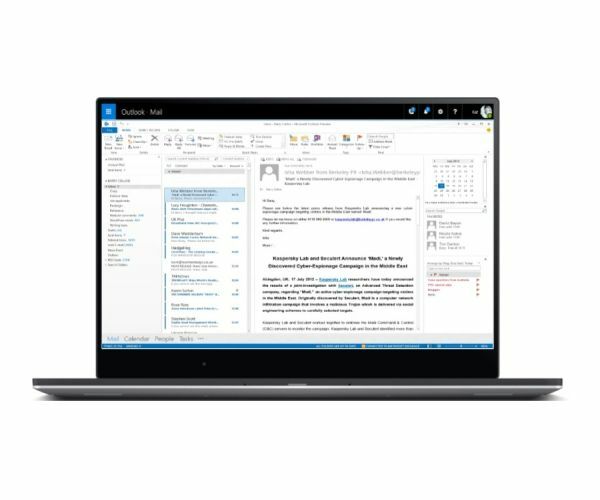 The calendar feature included with Microsoft Outlook is a scheduling management tool that allows you to track appointments and other uses of time, as well as receive alerts as meeting times approach. Microsoft Outlook provides the opportunity to archive selected content both manually and automatically. By creating these archive files, you create a backup of your crucial information. Archive files may be organized for data retention. Besides the typical password protection provided, Microsoft Outlook also helps to protect your data in other ways. Outlook automatically blocks the receipt of attachments containing certain file types to prevent your system from potentially harmful files. Microsoft Office software is a cloud-based software as a service products for business environments. 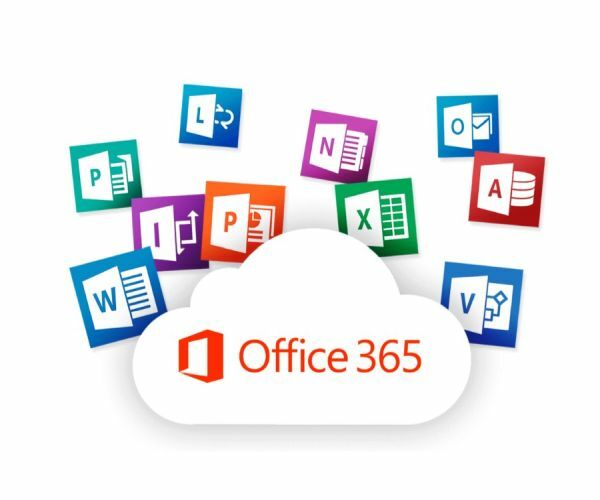 Office apps make Office 365 even better– Word, Excel, PowerPoint, Outlook, One Note, Hosted Exchange Server, SharePoint, and Skype for Business among others. All Office 365 plans include automatic updates to their respective software at no additional charge. Why Should I Buy Office 365 From Your Company if I Already Have Office 365? Just to mention a few, security (SSL Certificates, Website and Files Security), automatic updates, branding with your own domain name and much more. If you buy our Security or Business plan, you’ll get the latest version of Office, including the latest versions of the desktop applications, Excel, Word, Outlook, PowerPoint, Access OneNote and Publisher. Additionally, whenever Office is updated, you will automatically receive the latest upgrade at no additional charge. Talk about add-ons, our Office 365 plans give you the ability to easily and securely share and collaborate on documents using OneDrive for Business and Office Online. With Online Essentials, and Business Premium you can also create a domain-based email address and share calendars and contacts with people inside and outside of your company. Can’t move people to one location to hold meetings? No problem. Office 365 from gives you the ability to have real-time online meetings and screen sharing using Skype for Business, so holding business meeting becomes convenient. Yes. You can easily use the mobile apps for work. With Office 365, you are not limited to one device or operating system (OS). What Type of Device Can I install Office On? Which Desktop Apps Come with Your Plans? This depends on which plan you choose and whether you are using a PC or Mac. PC users can download the latest version of Office, versions of Word, PowerPoint, Access, Excel, Outlook, OneNote, Publisher and the desktop version of Skype for Business (formerly Lync). Mac users will be able to download the latest version of Office, versions of Word, PowerPoint, Excel, Outlook and Lync as part of the Premium Security and Business Premium plans. Can the Latest Version of Office 365 work On My Computer? If you are running a different operating system, you can use Office Online, browser-based versions of your favorite Microsoft tools like Excel, Word or PowerPoint, which are included with the Online Essentials or Business Premium plans. A domain-based email address, for example [email protected], helps you look more professional with customers and promotes your website and company. Statistics show that customers are 9 times more likely to choose a company with a professional email address as opposed to the ones with “public email addresses” like [email protected] or [email protected] And using your domain name for business emails also help direct prospects and customers to your website to look more for what you have to offer. Hub for teamwork to connect your teams with Microsoft Teams.